Hardly a week after being left battered and bruised by Virat Kohli and Co in the Test series, the visiting New Zealanders will hope the upcoming five-match ODI series will be an easier challenge, especially considering it's a relatively inexperienced Indian side they will be up against. There were times during the Test series that batting was like an EDM concert, with New Zealand batsmen dancing to the tunes of Ravichandran Ashwin's spin and turn. The off-spinner has been rested for the ODIs, but with Virat Kohli donning the blue jersey to play his favourite format, things aren't getting much easier. Nonetheless, the Kiwis will heave a sigh of relief at getting back to limited overs cricket. Though MS Dhoni's India remain favourites to win at home, the Black Caps would be confident enough to feel they belong at this stage. New Zealand have won four out of their last five ODI series, and have done well in this format ever since they made it to the final of the 2015 World Cup. Moreover, Kane Williamson has a better squad at his disposal, with the return of Tim Southee and Corey Anderson making them a force to reckon with. The Kiwis missed paceman Southee in the Tests, after he was ruled out with a late injury, while all-rounder Anderson's arrival would bolster their misfiring middle-order. However, Williamson will need runs from two of his most experienced batsmen — Ross Taylor, who has batted like a newbie so far in the series, and Martin Guptill, whose run has also been far from impressive on this tour. Guptill, who scored just 159 runs from six innings, will not let those failures affect him in the ODIs. The opener has an average of 43.25 in ODIs with a strike-rate of 86.08, and is one of only five people in world cricket to have scored a double century in 50 overs. 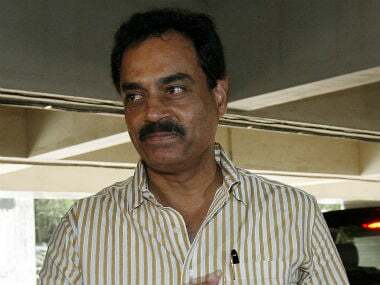 He has also done well in the IPL, and if India are to do well, they would need to get the big-hitting Guptill cheaply. Having said that, New Zealand's best chance of scripting history — they have never won a bilateral ODI series in India — will depend heavily on captain Williamson. The skipper needs to provide stability to the team and score runs, and also ensure the likes of Anderson and Neesham in the lower order can have a go at scoring quick runs. Southee would lead the bowling efforts, although Mitchell Santner's left-arm spin will be vital. Santner will bowl in the middle overs, where more often than not Kohli would be the recipient. If he is to emulate his sporting idol Daniel Vettori, he'll need to curb the singles and doubles and maintain pressure in the middle overs. It's an area of cricket Kohli has mastered; his ability to steal a quick single or convert it into a double is the one skill which sets the Indian vice-captain apart from his compatriots, and it will be Santner's responsibility to keep a check on this. As far as the Indian team is concerned, the newly-appointed selection panel has named a comparatively untested side for the first three ODIs. Apart from Ashwin, Mohammed Shami and Ravindra Jadeja have also been rested. Injuries to KL Rahul, Bhuvaneshwar Kumar and Shikhar Dhawan have ruled the trio out, creating chances for promising players like Mandeep Singh, Manish Pandey, Dhawal Kulkarni and Axar Patel — all of them part of the squad that toured Zimbabwe in India's last 50-over cricket assignment. Suresh Raina has also been recalled to the squad, but he will miss the first ODI due to viral fever. India's recent form in this format is a bit of a concern. MS Dhoni and Co have lost three out of their last five series; even the two they did win were both against Zimbabwe. It's a record they would certainly like to improve. The decision to rest Ashwin and Jadeja was taken considering the long home season ahead, but it could have been avoided, given the fact that India will defend the ICC Champions Trophy crown in June. Leading up to the tournament, India are due to play only eight more ODIs. Being rested for these three matches would only give them five matches to prepare ahead of the CT2017 tournament. And while Jadeja and Ashwin are likely to be in the scheme of things for the Champions Trophy regardless of how many matches they play, it is a great chance for youngsters like Axar Patel to put up a good show and indicate to the selectors of the value they can add to the team. Barring the T20I series in Florida, Anil Kumble has never tasted failure as India's new head coach. The New Zealand series will be his first ODI series on home soil, and he would want his winning streak to continue. Two things will worry him though — a misfiring middle-order and an inexperienced bowling unit. While he can't do much about the latter, he will try and fix the former, which can also cover up for the weak Indian attack with the white ball. Dhoni isn't the finisher he was anymore. One of his biggest strengths is that he realises his limitations and tries to adapt his game accordingly. But he now needs to take the other big decision of his career — whether to give up the role of finisher and come up at No 4. And this can be addressed even quicker if he has the backing of Kumble. When he batted up the order against Bangladesh, he made scores of 47 and 69. But he reverted back to No 5 and No 6, considering India needs his quick runs and his finishing ability down the order. Being the senior-most player in the team, he has taken up the responsibility, but perhaps the time has come for him to be a bit more selfish and bat at the position that is best for him. With Manish Pandey performing in India A's tour of Australia and the aggressive Hardik Pandya in the side, Dhoni can afford to come up the strike and bat with Kohli in the middle overs. 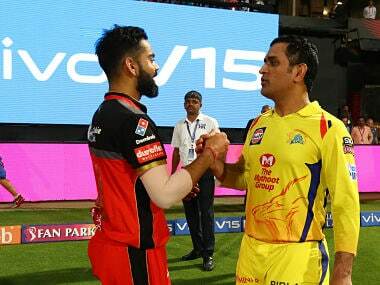 This would give Dhoni and Kohli more overs to bat, and considering the duo is excellent at running between the wickets, it would keep the score moving. Pandya and Pandey can finish the innings with their big hitting. Switching between two formats is mentally tough. And with multiple captains leading the sides in different set-ups, the mental preparations are even more tiresome. However, as Ajinkya Rahane said during a press conference ahead of Sunday's match, the Indians played an aggressive brand of cricket in the Tests and will continue doing so in the ODIs, which makes it easier on the players as well. "I think discipline will be the key. The kind of cricket we played in the Test series, our intent was aggressive all the time. Here again our intent will be aggressive, to play intense cricket, and play to our strengths rather than focusing on the opponents' strengths and weaknesses," Rahane said. The Dharamsala pitch generally assists pacemen and that could give Dhawal Kulkarni a place in the playing XI alongside Jasprit Bumrah, while Axar Patel, Amit Mishra and Umesh Yadav will also feature in the side. A 4-1 win would help India move up the ICC ODI rankings, displacing New Zealand, who are one place above them in third. The Dharamsala ODI will be followed by matches in Delhi (20 October), Mohali (23 October), Ranchi (26 October) and Visakhapatnam (29 Ocotober). All five are day-and-night encounters. India: Mahendra Singh Dhoni (captain/wk), Rohit Sharma, Ajinkya Rahane, Virat Kohli, Manish Pandey, Suresh Raina, Hardik Pandya, Axar Patel, Jayant Yadav, Amit Mishra, Jasprit Bumrah, Dhawal Kulkarni, Umesh Yadav, Mandeep Singh, Kedar Jadhav. New Zealand: Kane Williamson (captain), Corey Anderson, Trent Boult, Doug Bracewell, Anton Devcich, Martin Guptill, Matt Henry, Tom Latham, James Neesham, Luke Ronchi (wk), Mitchell Santner, Ish Sodhi, Tim Southee, Ross Taylor, BJ Watling (wk).